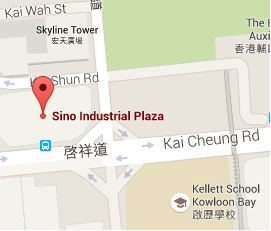 Cosmocon International Limited was established in Hong Kong in 1993. For over 20 years our company has been manufacturing lighting products for mainly European markets and successfully built up strong in-house competence in quality assurance and norm conformity. Operated under German management, Cosmocon International Limited combines the strengths of elevated understandings of European markets and adherence to strict European quality standards with flexible and cost-effective production in China. Our customers include major DIY groups, furniture store chains, C+C markets, food chains, OEM clients, mail order companies, specialized electronics retailers and industrial clients. Cosmocon International Limited is your one-stop supplier for lighting products and provides development, design, artwork, manufacturing, layout, certification and testing out of one hand. Our quality management team tests and approves according to latest European standards in our in-house test lab. We have been developing substantial knowledge and expertise for over 20 years and in close cooperation with renowned testing labs like TÜV, SLG, DEKRA, ITS and BV, which enables us to attest full conformity with all quality, safety, eco design and chemical standards . Our company holds over 1000 reports in conformity with e.g. CE, GS, LVD, EMC, EMF, RoHS, REACH, and ErP. This know-how qualifies us to follow special customer requirements and FFU testing that even go beyond standard norms. Our European industrial designers develop innovative products in contemporary and classic designs based on ongoing market and trend research. Cosmocon International Limited is the trade mark holder of all its creations and designs are protected by EU law.